Scan, ride, end. Ride Dropbike as if it were your own bike. Anywhere starting at $1/hour. Find a dropbike through your smartphone. Scan the QR code to unlock. You’re set! It’s all yours! We encourage you to follow all local laws and safety recommendations (including helmets) while riding. Have fun! Dropbikes can be parked at specially marked "havens", or anywhere you would park your own bike. Attach them to racks, rings, poles, etc, as required by your local by-laws. Public bike share is a collaborative effort. Dropbike works closely with municipalities and operators to introduce, operate, supply and expand fleets. We believe in excellent operations, rebalancing, bicycle quality and user experiences and we believe in sustainability above all. Read more. Dropbike was founded on a collaborative mindset to help solve real world transit problems. 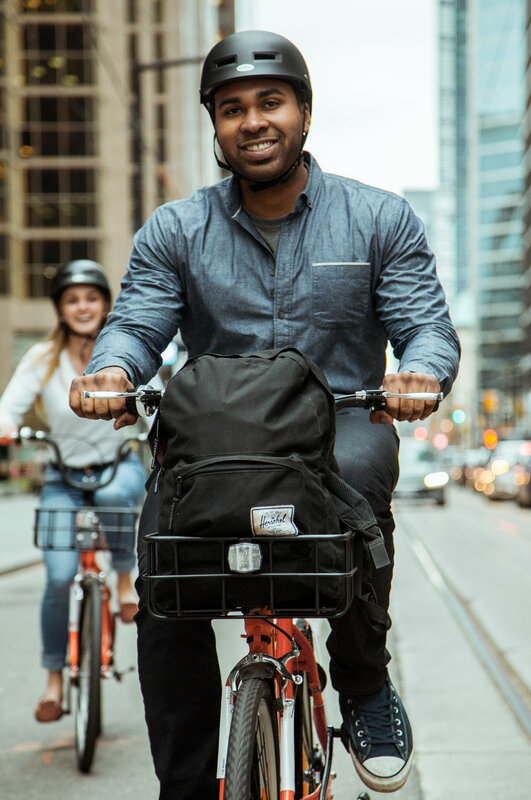 We believe that as technology becomes more affordable and convenient—as bike-share technologies have become—our role is to bring together stakeholders who share our beliefs for a more accessible and affordable future in which bike-share is available for everyone.